I could have just as easily named this post repeat bloomers, bloom redux, unexpected fall flowers, or even bloom happy. Who would have guessed after our extended Pacific Northwest drought of a summer, we would enjoy spring in mid-October. 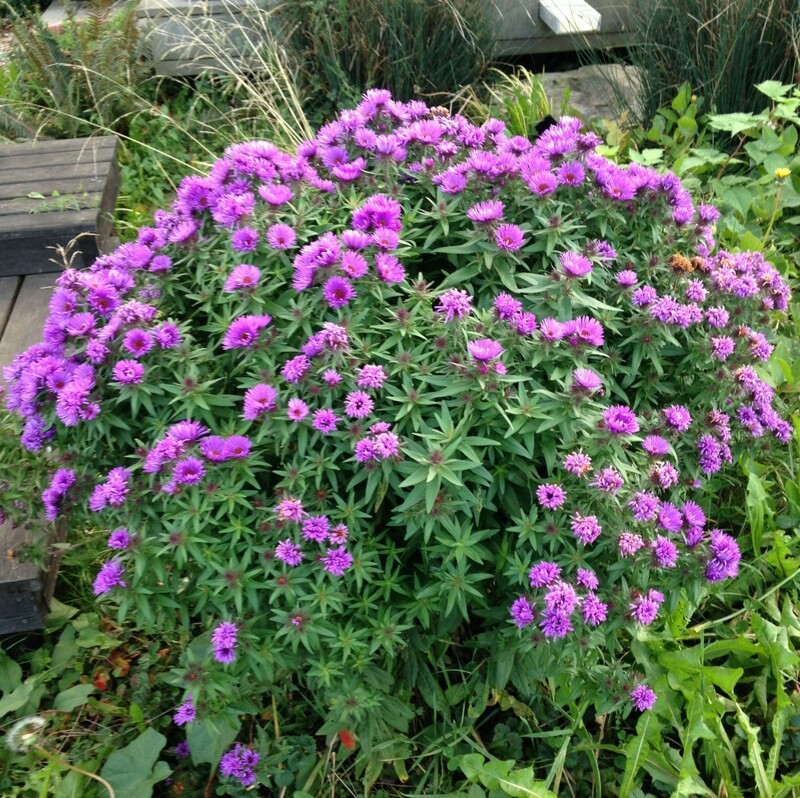 A number of my plants, garden stalwarts, are unconvinced that Fall officially began on September 23rd. 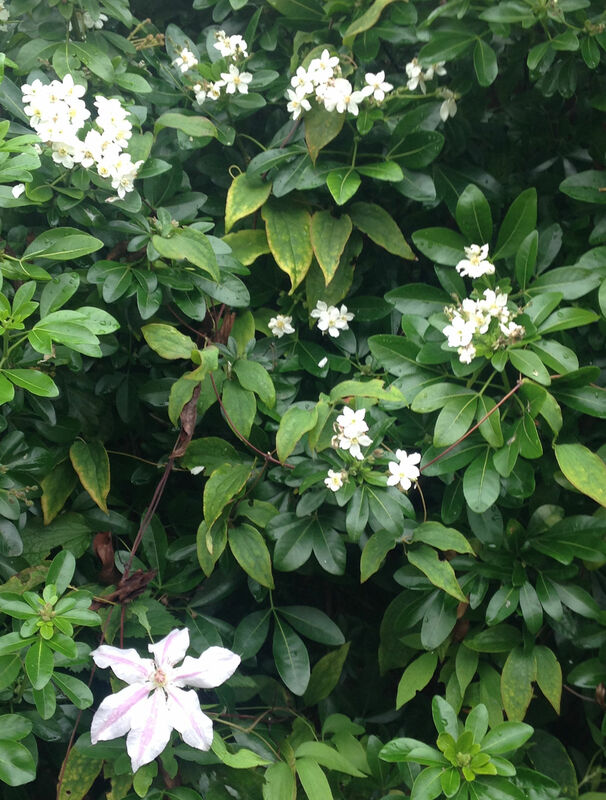 In the courtyard, as of October 18th, a Choysia and Clematis mimic late Spring. While just a few yards away — right on schedule — Asters are blooming in the rain garden. 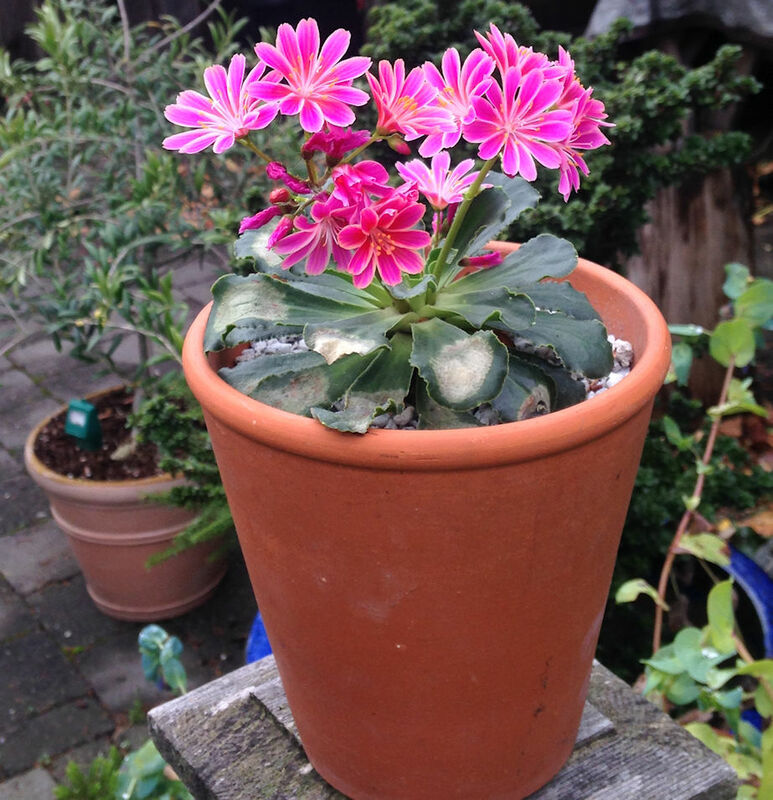 I never expected this Lewisia to be blooming with Asters, considering it bloomed first in the Spring and then later in the summer. (It’s always been a reliable re-bloomer if spent stems are dead headed, but this year is a record). 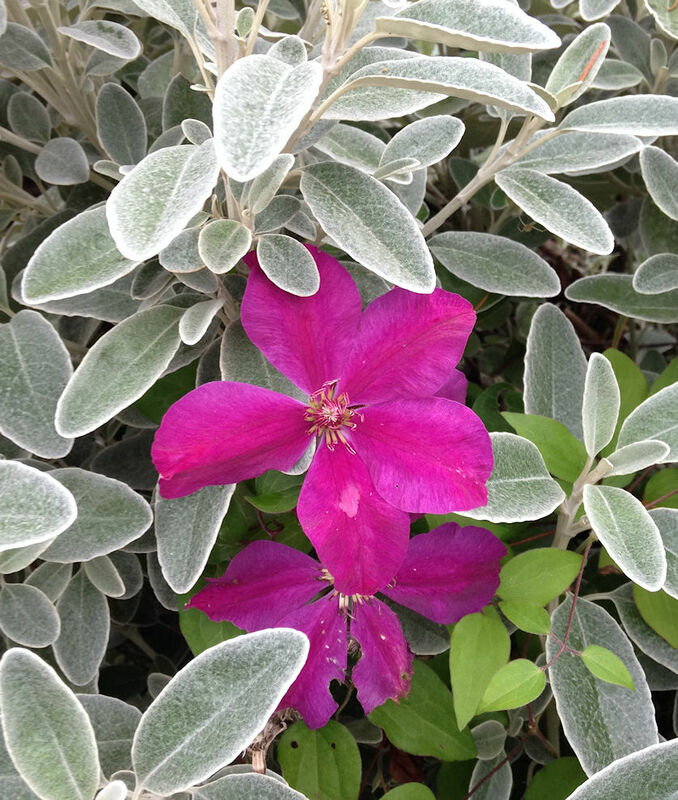 Another Clematis, growing in a pot under the shrub Brachyglottis greyii (AKA, Senecio greyii or Daisy Bush), climbs through the silver grey leaves which support the vine. The Daisy bush hails from New Zealand, is reliably hardy here, and provided nice cooling shade all summer for this red Clematis. Just a few days after starting this post the temperature dipped and Fall was definitely in the air. 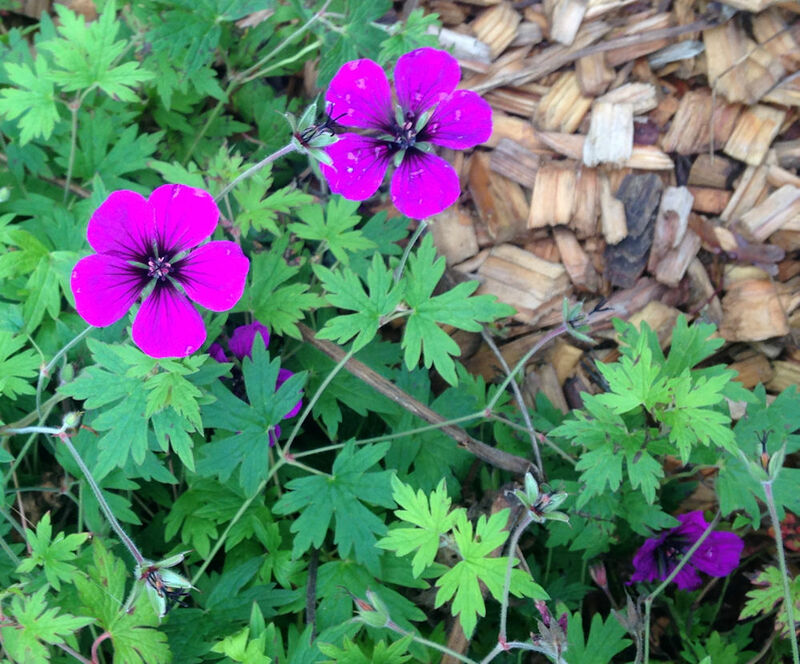 Yet this Hardy Geranium was still sporadically flowering. While all of the above late bloomers are unexpected pleasures, over in the vegetable garden, seeds of the ‘Romanesco’ variety of Foeniculum vulgare var. azoricum (bulbing fennel) were intentionally planted in late August. 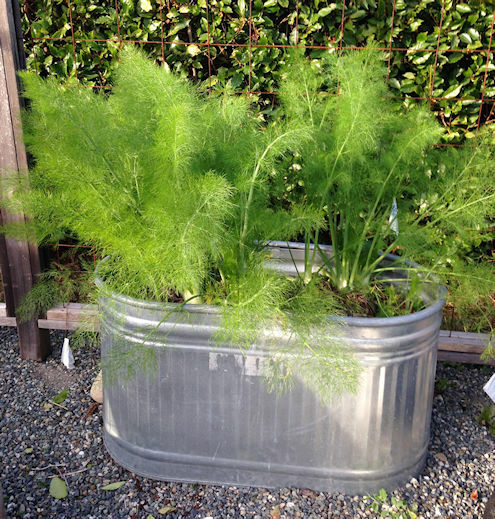 Bulbing fennel likes cool weather and the semi-sweet licorice flavor improves when soil or mulch is mounded around the base of the plant. I pulled up my first plant yesterday. Had I cut the plant at the base of the bulb and left the taproot in the soil, the plant would continue to send up shoots of the delicate (and tasty) foliage until frost. But the best tasting part of the plant is the bulb. This crunchy veggie with its light licorice/anise taste is superb when sliced thinly and tossed with a good olive oil and a bit of salt. This entry was posted in Plant Picks, Techniques by Bart Arenson. Bookmark the permalink. 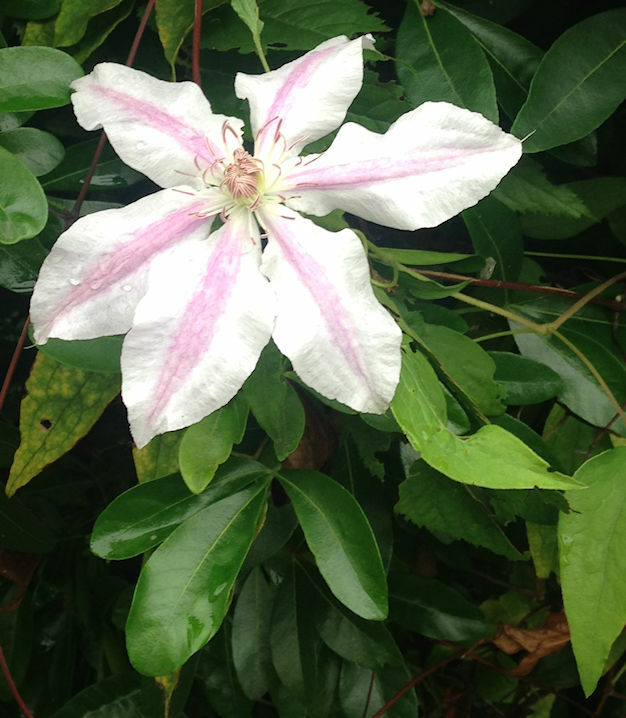 Love the hot pink Clematis with the Brachyglottis – nice combo. Hate the name Brachyglottis though… wonder why they changed it? Senecio sounds so much more palatable, methinks. Oh I agree totally on the name. Sounds like a disease of the throat. Go figure! I like that Lewisia quite a lot. 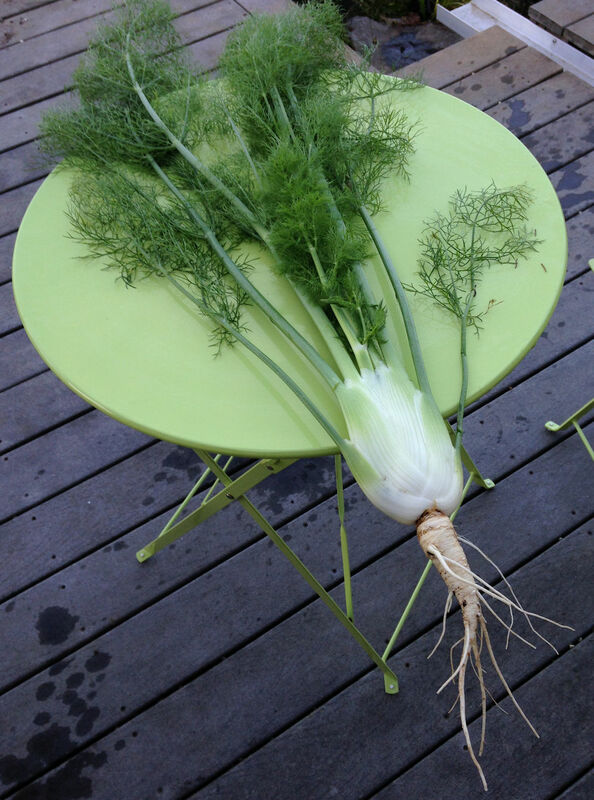 Does regular fennel not produce bulbs? Apparently not. The bulbing fennel is actually a cultivar of Foeniculum vulgare. This variety, azoricum, is shorter and differs from the species in that the common fennel is grown primarily for the anise-flavored foliage and seeds. Foeniculum vulgare subsp. vulgare var.